The reaction in the away end upon the full-time whistle at Fulham was felt just as strongly by Andy Robertson and his Liverpool teammates. 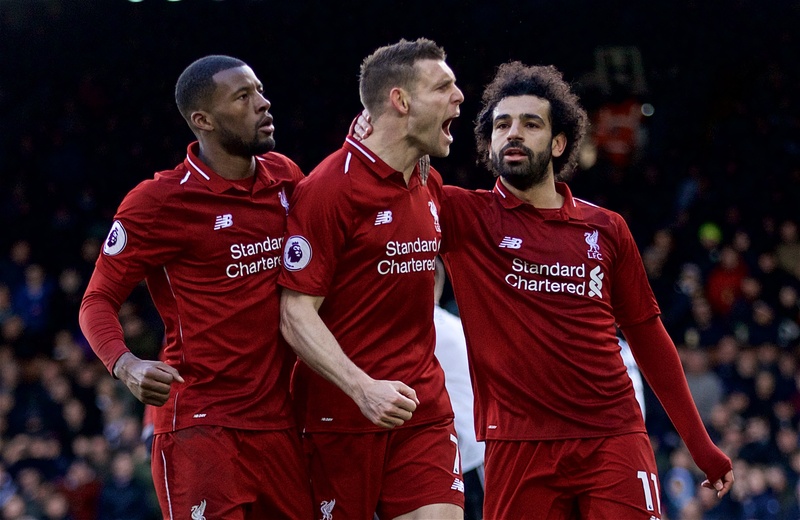 Its confirmation of three crucial Premier League points for the Reds came at the end of a week in which Jürgen Klopp’s side had not only strengthened their resolve in the title race but also eliminated Bayern Munich from the Champions League. They had to dig deep to ensure a positive conclusion to the run of fixtures, however, after a defensive mix-up had allowed Ryan Babel to cancel out Sadio Mane’s clinical first-half breakthrough. But Liverpool found a way; Mane was fouled inside the box on 80 minutes and substitute James Milner held his nerve to successfully lift a penalty into the middle of the goal for a 2-1 win. “It was massive for us. It would have been a bit gutting had we not got the three points, if I’m honest,” Robertson told Liverpoolfc.com post-match at Craven Cottage. The left-back continued: “It gets to this point in the season where people are fighting for their lives from relegation and that’s so tough, and people are fighting for European spots and positions and trying to get in the top 10 and stuff. Milner, a second-half substitute, made a point of being honest about his role in the chain of events that led to Fulham levelling the score. It was from the midfielder’s skewed clearance that Virgil van Dijk, pushed towards his own goal, subsequently sent a header short of Alisson Becker and Babel pounced to net. But Milner made amends in the coolest way possible when he took responsibility of the decisive spot-kick for Liverpool and delicately chipped it straight in. “[He is] the most experienced guy in our dressing room and he’s already got the trophy we are all fighting for because he’s already won it,” said Robertson. 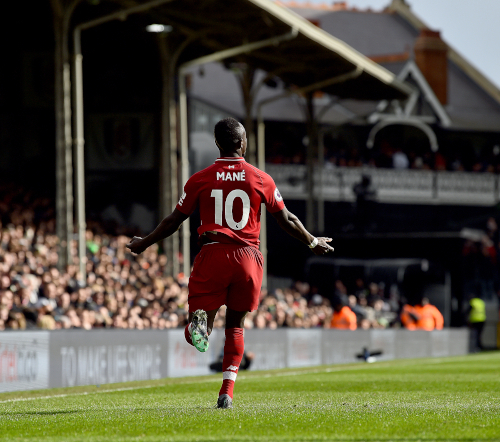 Mane’s opening goal in the encounter, a stylish finish powered in after a one-two with Roberto Firmino, was the forward’s 11th strike in his last 11 games and 20th overall this season. 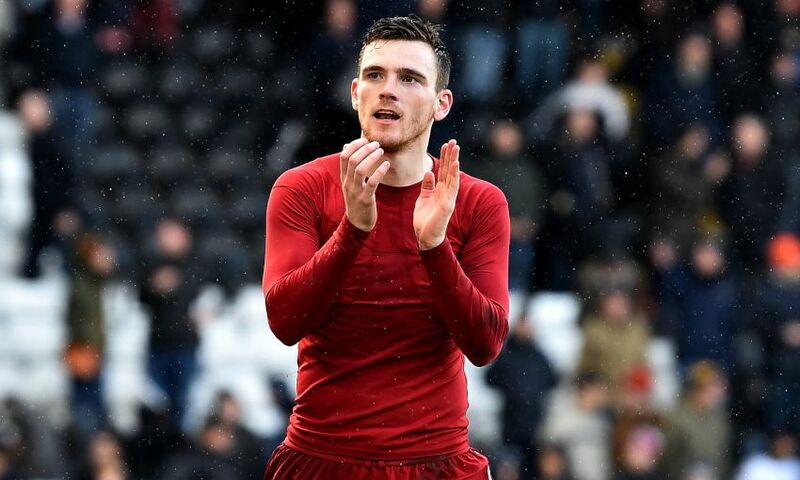 With seven Premier League fixtures remaining and more Champions League football to come next month, Robertson is hoping his teammate can maintain such outstanding form. “He could have had a few more actually but the goal he scored just shows you how confident he is just now,” the No.26 said of Mane.